BRYN MAWR, Pennsylvania — Friends of the Library groups and libraries across the country will be celebrating the 13th annual National Friends of Libraries Week Oct. 21-27, 2018. National Friends of Libraries Week offers a two-fold opportunity to celebrate Friends – promoting the group in the community, raising awareness and increasing membership and also giving libraries and boards of trustees the opportunity to recognize the Friends for their help and support of the library. 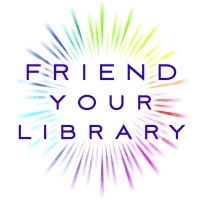 Friends groups and library staff can access a variety of online resources to help them celebrate National Friends of Libraries Week. Materials available at www.ala.org/united/events_conferences/folweek include promotional ideas, PR and marketing materials, ideas from past celebrations and much more. Join the Facebook event for updates and social media materials. In addition, the National Friends of Libraries Week Community in ALA Connect provides an opportunity for Friends groups across the country to share their events, publicity, photos, and more. In conjunction with National Friends of Libraries Week, two awards of $250 will be given to Friends of the Library groups for activities held during the celebration. Application materials are available at www.ala.org/united/grants_awards/friends/friendsweek. Entries are due by Dec. 4, 2018. United for Libraries: The Association of Library Trustees, Advocates, Friends and Foundations, is a division of the American Library Association that supports those who govern, promote, advocate, and fundraise for libraries. United for Libraries brings together library Trustees, advocates, Friends, and Foundations into a partnership that creates a powerful force for libraries in the 21st century. For more information or to join United for Libraries, visit the United for Libraries website or contact Jillian Wentworth at (312) 280-2161 or jwentworth@ala.org.